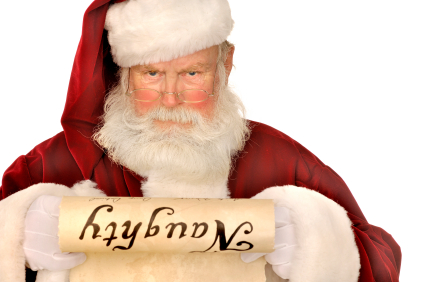 Rumours sweeping the county this morning suggest that Santa Claus is contemplating bypassing Carrickmore completely after a disgruntled elf leaked the bad list on his ElfLeak website. If true, this is not the first time a Tyrone village has been affected by questionable behaviour. In 1964 Pomeroy was completely ignored by the Clauses after a wrecking session in the AOH Hall outside the Diamond when the Plunketts won the Junior Championship. North Pole PR secretary promised to be more careful this year but blamed Ardboe residents for leaving whiskey out for the reindeer every year. Posted on December 23, 2013, in Ardboe, Ballygawley, Carrickmore, Omagh, Pomeroy and tagged ARDBOE, Ballygawley, Carrickmore, Dublin, keady, north pole, Omagh, Pomeroy, santa. Bookmark the permalink. 1 Comment. Reblogged this on Tyrone Tribulations.